This elegant mansion was designed by architect Jose María de Aguilar in 1883 as a private residence. After an extensive renovation, it has been transformed into a 5-star hotel that today features modern-style interiors that are attractive and comfortable. 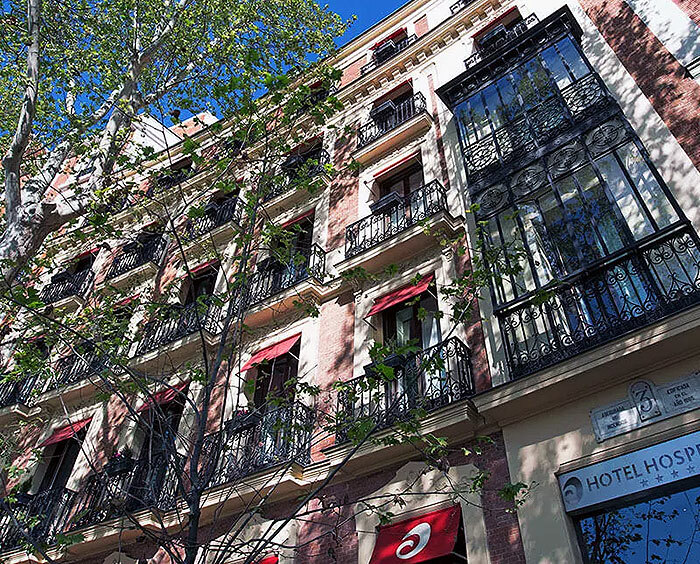 Overlooking the Puerta de Alcalá in the Plaza de la Independencia, and across from the Retiro Park, the hotel is centrally located just off the Calle Serrano, in the city’s most upscale neighborhood. The city’s historic city center, Puerta del Sol and Royal Palace are all within walking distance (about a 20 minute walk), and can also be easily accessed via a short taxi or metro ride.